Home » Breakfast » Antioxidant Berry Beet Smoothie. 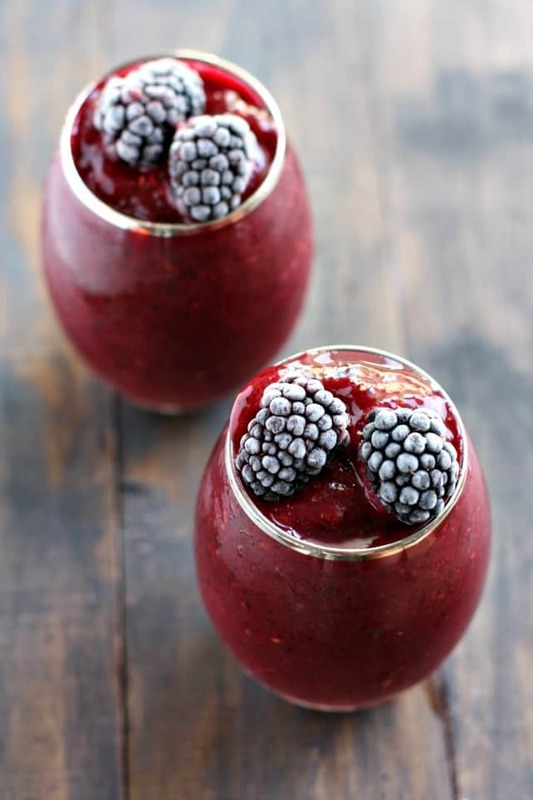 This gorgeous and delicious berry beet smoothie is a great way to start your morning! This smoothie is loaded with vitamins and antioxidants to help you stay healthy this winter! January. It’s the time of year when everyone is trying to be healthier, or at least stay healthy. Lots of germs are floating around out there, and it’s no fun to be down with a cold or the flu. And if you’re dealing with a lot of stress, that takes a toll on your body as well, so you may want to add more healthy fruits and vegetables to your diet to reduce inflammation. 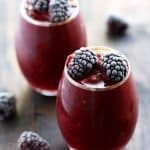 Smoothies are an easy way to get some extra vitamins an antioxidants into your system, and this berry beet smoothie is delicious and beautiful, too. Now, if you aren’t a beet lover, don’t worry. This smoothie can be a great way to incorporate beets into your diet. With all the berries and mangoes, you won’t taste the beets at all. They just add a nice sweetness, and of course a gorgeous red hue to this drink. The ingredients in this berry beet smoothie are simple, but they provide a lot of healthy benefits. Why is this berry beet smoothie healthy? Mangoes are a great source of vitamins A and C (good for your immune system! ), plus a good amount of fiber. 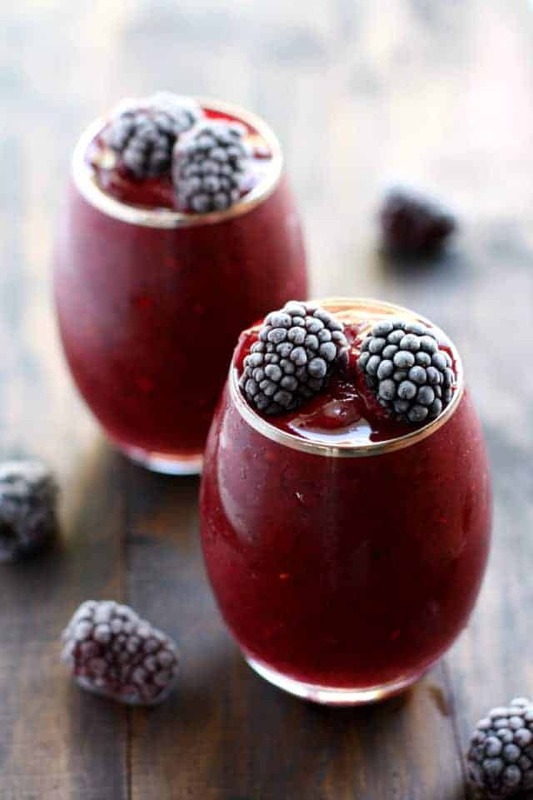 Berries have high amounts of antioxidants, including anthocyanins, which are associated with a lower risk of some cancers, and healthy aging. Beets contain antioxidants that help reduce inflammation and promote cardiac health. Plus they are a great source of iron, copper, potassium, and folate. This antioxidant filled berry beet smoothie is not only delicious, but super healthy, too! 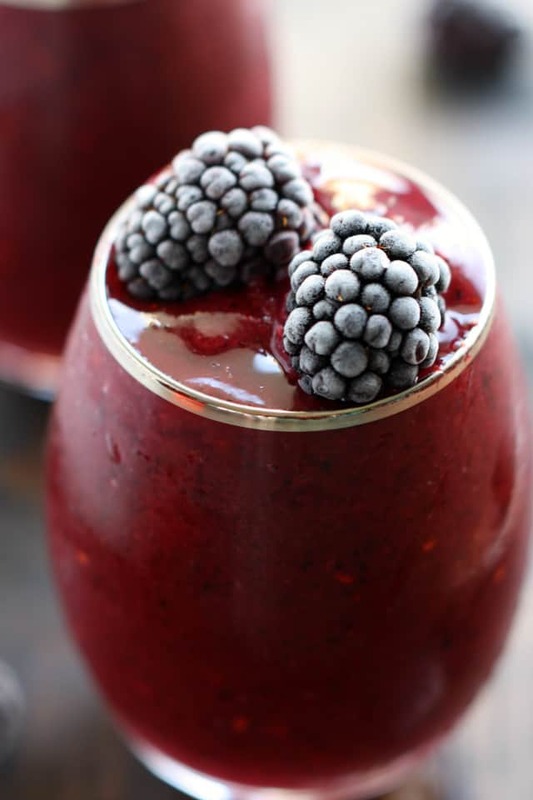 Pour into one or two glasses and top with frozen berries if desired. Makes about 16 ounces, so one large or two small smoothies. To make beet puree, peel and chop two beets. Place in a pan and cover with water, bring to a boil. Reduce heat to a simmer, then cook for about 20-30 minutes, or until beets are fork tender. Allow to cool fully, then puree in a food processor. Looking for more healthy smoothies? Try this blood orange banana smoothie. « Slow Cooker Chicken Lemon Rice Soup.